Days ago, I saw a photo on Jacqueline Kennedy with a bag on the internet. She is leaning on a wall with a Hermes Constance shoulder bag in a good mood in the photo. Jacqueline Kennedy was famous for the First Lay but an fashion icon. I never thought Hermes Constance had a longer history than Hermes Birkin. I did research into Hermes Constance. Not only Hermes Birkin but the Constance often are auctioned at Christie’s Hermes auction. 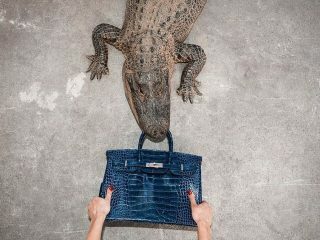 At 2015 Christie’s Hermes auction, bidding of a Hermes Constance in modena Alligator skin started from 28,000 dollars. 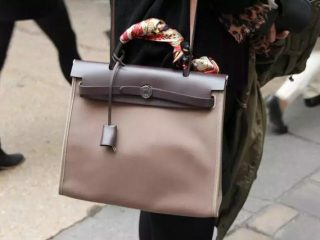 Therefore, in addition to Hermes Birkin and Kelly, Hermes Constance is rarer and hotter. 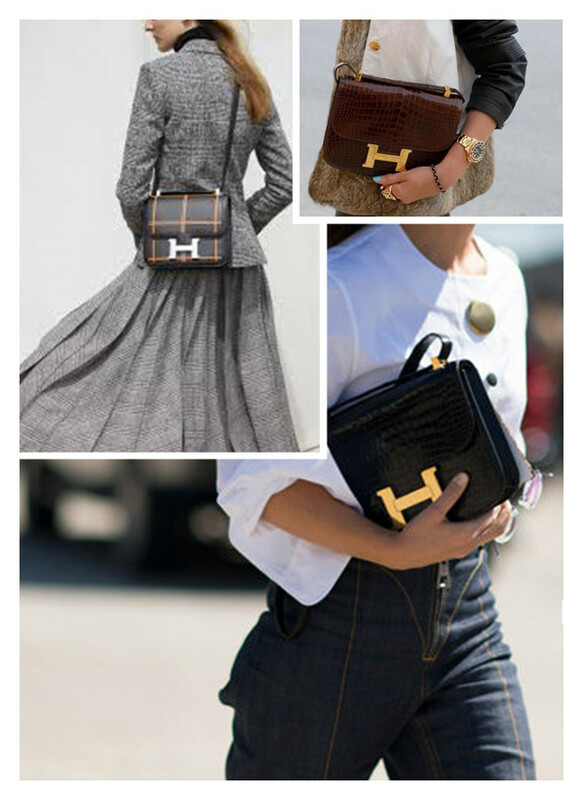 Hermes Constance was designed by Catherine Chaillet in 1959. It made its debut just as Catherine Chaillet gave birth a daughter, so the bag was named after her daughter’s name. 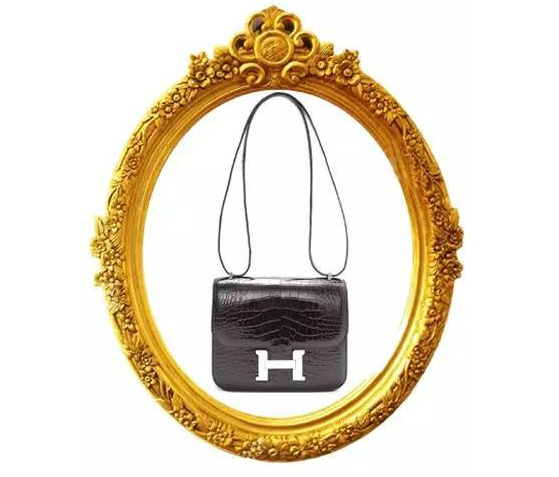 Hermes Constance bag features simple style and iconic “H” logo. 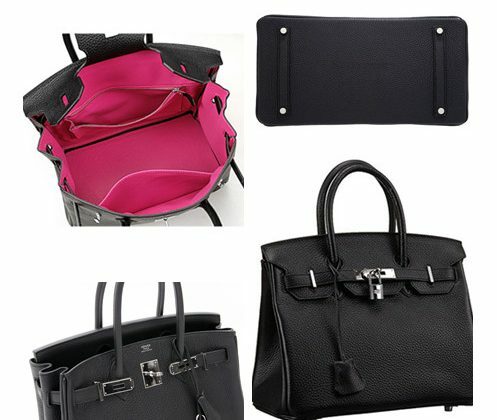 Cute look, simple style and first-class workmanship make Hermes Constance bag popular with the upper class and female celebrities. What’s more, the Constance is harder to order than the Birkin. Because of lower output, less than five Constance bags arrive in many of Hermes Stores. Although Hermes Constance looks simple and cute, the manufacturing process is not simple. CR Fashion Book, the fashion magazine shot for Hermes Constance bag. Let’s know more about it through some photos. Colored leather blooms in Hermes workshop, and a lot of components and parts are placed on the worktable or hanged on the shelves. A handbag maker showed parts and hardware which are made into a Hermes Constance bag. There are nearly 50 pieces of large and small calfskin and 6 pieces of hardware. 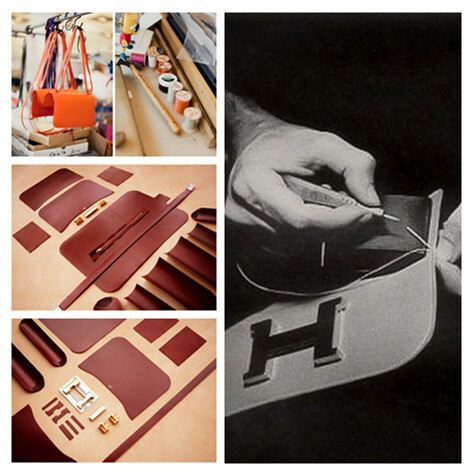 It takes a skillful bag maker approx 16 hours to finish a Hermes Constance shoulder bag. From that, the Hermes spirit is worthy of respect and honor. 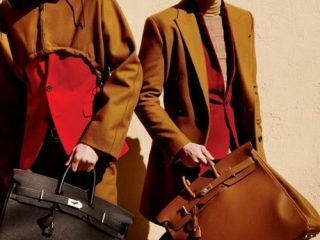 Hermes is loyal to hand-made crafts, supreme materials. Hermes adheres to prudent attitude in manufacturing products. Hermes Constance shoulder bag is available in Togo, Epsom, lamb skin, alligator skin and rare leather. There are five sizes: Micro (14cm x 11cm x 3cm), Mini (18cm x 15cm x 4cm), Regular (24cm x 17cm x 5 cm), Elan (26cm x 14cm x 8cm), Cartable (29cm x 23cm x 9cm). Of them, the most popular sizes are the Constance Micro, the Constance Mini 18 and the Constance 24. 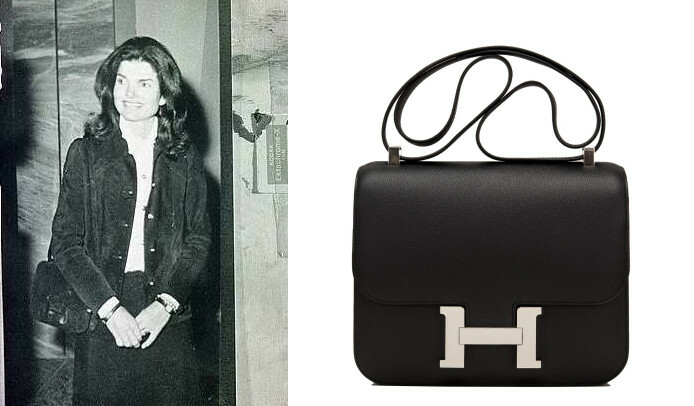 The simple, vintage and square style with the iconic “H” logo shows high quality and French elegance. 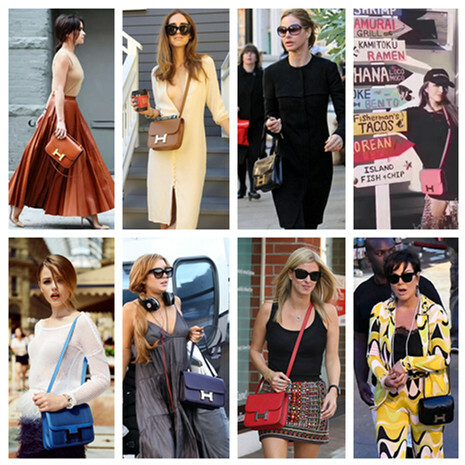 A lot of female celebrities were spotted with Hermes Constance shoulder bags, like Chiara Ferragni, Lindsay Lohan, Nicky Hilton, Kristina Bazan Kayture, Dasha Zhukova, Trrinny Woodall and Kris Jenner (Kendall Jenner’s mother).